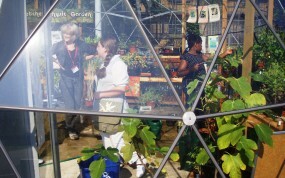 Whatever your school type or size, our domes provide an excellent outdoor learning space. 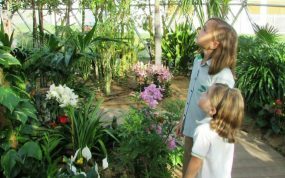 Our glasshouses enable pupils to learn outside of the traditional classroom yet remain in a warm, dry and comfortable environment which still feels at one with nature and is full of natural daylight. 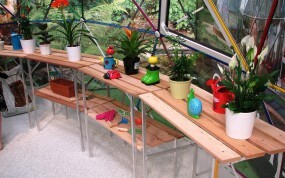 They provide a unique outdoor classroom or breakaway space, ideal for hands-on teaching and growing schools initiatives. 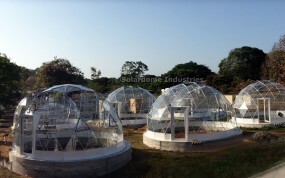 Solardome® geodesic domes provide excellent environmental learning and research opportunities. They also provide the ideal space for a striking restaurant or cafeteria, unique performance studio or stylish reception. Colleges use their domes for multipurpose activities ranging from outdoor classrooms and shelters to elegant display and gallery structures. 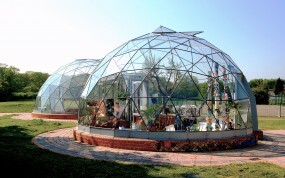 Our dome buildings are fully habitable and ideal for a striking performance studio. 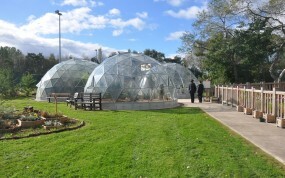 Solardome® glasshouses with their unique geodesic structure provide a great hands-on learning environment for Special Schools where creativity, curiosity and imaginations can thrive. Practical and investigative work outside the classroom is one of the most effective ways to diversify the range of science teaching methods and our domes are ideal for this. For schools looking for extra space, our dome buildings can provide fully habitable spaces. At this age children learn best through experiences and interactive sessions. A Solardome® geodesic dome acts as a stimulating outdoor classroom to increase participation and engagement with the subjects being taught. For nurseries and pre-schools, a Solardome® outdoor classroom dome offers the unique ability to be outside yet inside and protected from the elements. 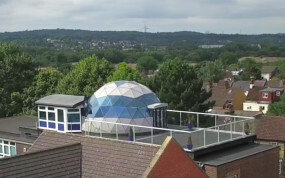 The school’s new ‘Inspirational Domes’ in the grounds are providing good additional opportunities to experience cross-curricular, creative and environment projects.